Scotland’s universities are said to generate £11 billion for the wider Scottish economy each year and the country has more world-leading academic institutions per head of population than any other country. 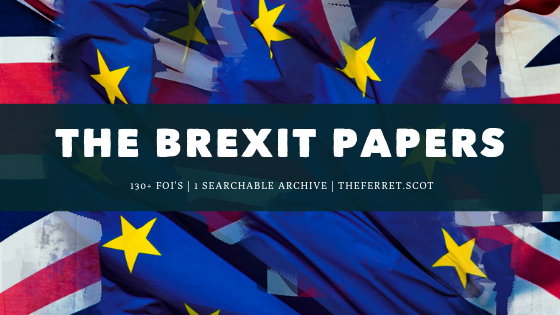 But a series of documents obtained under freedom of information law lay out the interdependence of Scottish universities and the European Union (EU) – and the dangers of leaving the union. In response critics say the “enormous damage” Brexit is predicted to cause to the sector justifies a complete halt to the process of leaving the EU. A paper marked confidential from officials at the Scottish Funding Council warns that Brexit is already having a negative impact on the work of Scottish universities, even before a final exit deal has been agreed. Uncertainty around the Brexit process has led to “a decline in research partnerships between EU and UK researchers and of removal of lead status for UK participants in these partnerships,” it says. Overall, funding from the EU makes up about 10 per cent of the total cash for research funding at Scottish universities. But the effects of Brexit are predicted to hit some academic institutions and some disciplines more than others, with newer universities likely to be more reliant on EU cash than older ones. These Brexit effects led the principal of Abertay University, Nigel Seaton, to warn their university court in another confidential briefing note of the risks. “The disruption of our existing relationships, including access to funding streams, is inherently damaging to an enterprise that depends so strongly on collaboration,” he said. A University of the Highlands and Islands management note obtained by The Ferret says that it has already been barred from playing a lead role in at least one EU funded research bid. This is despite UK government guarantees to underwrite EU funding. Scottish Funding Council research highlights information technology, computer sciences and engineering, physics, chemistry, and environmental sciences as particularly vulnerable to Brexit. These subjects are said to have a greater reliance on the EU for both funding and staffing. 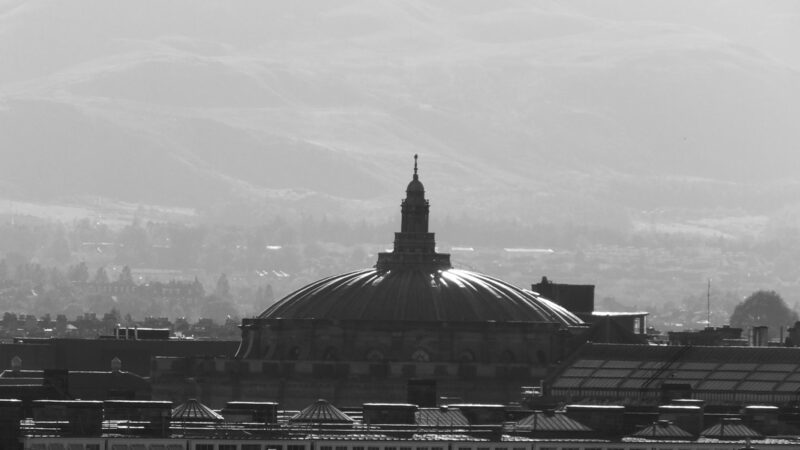 The University of Edinburgh receives the most cash from EU sources. It typically receives £35m per year from the EU according to another internal document seen by The Ferret. More than a quarter of its research staff, some 1,175 people, are from the EU. A loss of fees from EU students is also predicted to compound problems created by a loss of access to research funding and expert staff. This will further hit staffing at some universities, with the potential to close courses to new entrants and reduce research capacity. Each year, Edinburgh, Strathclyde and St Andrews Universities all have more than 500 EU students on taught post-graduate courses. In Dundee University, more than 30 per cent of research post graduate students studying biological sciences are from the EU. At Heriot Watt and Edinburgh Universities more than a third of the students studying research-led post graduate degrees in maths or computing science are from the EU. A University of Dundee briefing warns the Brexit process is also adding to the pressures UK universities already face from increasing competition from other EU institutions. It claims there are now more than 3,000 taught courses in English on the continent, noting that in 1999 there were virtually none. Other research institutes and public bodies that depend on scientific expertise are also planning for the negative effects the Brexit process will have on their work. In evidence given to a House of Lords select committee on plant and animal biosecurity, Professor Peter Hollingsworth, director of science at the Royal Botanic Gardens in Edinburgh, warned that Brexit has the potential for the UK to lose access to information and expertise on infectious plant and animal diseases. This could happen “if there is a disruption to information flows established within the EU” and EU nationals are discouraged from taking up jobs in the UK, he said. Another document obtained from a committee of Scottish environmental public bodies shows they collectively benefit from more than 30 European projects and research networks. Many of these projects are funded by the EU or only offer restricted access to non-EU members. The documents have come to light as pressure mounts on the UK government to finalise a Brexit deal. Prime Minister, Theresa May, has so far struggled to find a deal that is acceptable to the EU, her party and a majority of Westminster MPs. Alastair Sim, director of Universities Scotland, said a hard Brexit would mean teaching and research in priority Scottish subjects would be adversely affected. He called for any Brexit deal to ensure Scottish universities would be able to fully participate in EU research funding initiatives as well as programmes such as Erasmus that funds student mobility throughout Europe. Anything that falls short of this would mean “we would be failing the next generation of students,” he warned. “A hard Brexit would impact on higher education significantly because as a sector, we are so integrated with Europe for mobility, for teaching, for research and innovation. From a teaching perspective, we know certain priority subjects will be adversely affected if there is a steep fall in EU student numbers, and we are working with Scottish Government on how to enable sustainable post-Brexit openness to EU students,” Sim added. Ross Greer MSP, Europe spokesperson for the Scottish Greens, said he feared Scotland’s world-leading universities may never recover from the impact of Brexit, and renewed his calls for an immediate halt to the leave process. “The best way to prevent enormous damage to our universities and research networks, as well as just about every other aspect of our economy, would be to halt this disastrous Brexit,” he said. “Scotland has more world-leading universities per head of population than any other country on the planet but their ability to collaborate and continue to build their world-leading reputations is at huge risk. Not only is there huge scepticism that the UK Government will replace lost EU funding, the removal of freedom of movement in itself will be immensely destructive. In recent weeks leaks have suggested the Westminster government could be close to announcing a proposed final Brexit deal, with suggestions that the UK parliament could be given a vote on the exit plan before Christmas. People’s Vote, which is campaigning for another vote on Brexit, has urged Scottish MPs to reject any proposed deal in favour of a second referendum. The impact on Scottish academia of any leave deal would be unacceptable, a spokesperson for the campaign argued. “If anything these papers, to the extent they focus on what happens if there is no deal, under-estimate the impact of Brexit,” said a spokesperson for the campaign. Scottish Liberal Democrat leader, Willie Rennie MSP, has also backed a second Brexit vote. “Scotland’s higher education sector is the envy of the world,” he said. The Scottish Parliament voted to support a second Brexit referendum on 7 November, with SNP and Green MSPs backing a motion put forward by the Scottish Liberal Democrats. The Holyrood endorsement for the People’s Vote campaign followed the publication of an open letter from 23 Scottish academics that backed a second referendum and warned of the adverse impact Brexit would have on Scottish universities. “It is essential that our research organisations, colleges and universities are able to maintain their strong relationship with partners in the EU and that students and researchers from elsewhere in the EU can continue to benefit from a first class education and research excellence in Scotland,” he added. A UK government spokesperson said: “The UK plays a vital role in making Europe a pioneering base for research and values the contribution that international researchers make to the UK. This will not change when we leave the EU. We are seeking an ambitious relationship on science and innovation with our EU partners which will allow us to continue to work together.